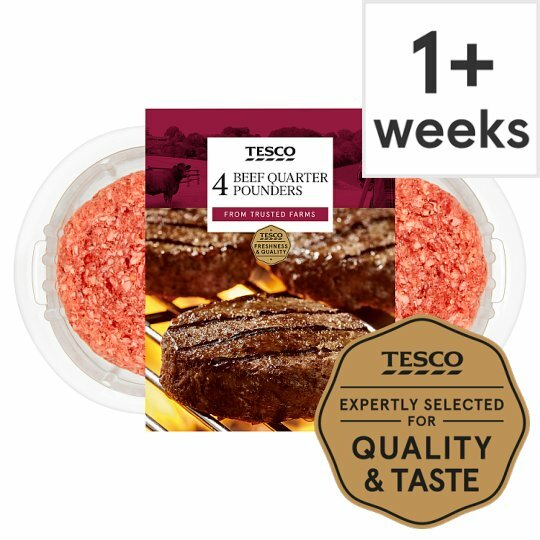 INGREDIENTS: Beef (86%), Water, Rice Flour, Salt, Onion Powder, Dextrose, Sugar, Yeast Extract, Black Pepper, Sunflower Oil, Paprika, Vegetable Fibre, Preservative (Sodium Metabisulphite), White Pepper, Bay, Spice extracts, Flavouring. Instructions: Chilled:14-16 mins. Place under a pre-heated grill for 14-16 minutes. Turn occasionally. Leave to rest for 5 minutes after cooking.